Denamik LoadGen can perform load- and stresstest on SBC and VDI environments by to simulate users. To distribute the load systems called ‘LoadBots’ are used to generate the load, resulting in an architecture with horizontal scaling capabilities. Before a system is called a LoadBot an agent needs to be installed. The installation of the LoadBot is done from the central management console, the Director. The installation is pushed to the remote system and results in a small service running in the background. The LoadBot can be (de)activated on demand from the central management console. In this article I’ll explain the steps involved when installing (or activating) the LoadBot software on a remote machine. There are some common issues (like name resolution, firewall configuration, etc.) that I’ll explain as well. The installation of the LoadBot software on the system is done in 7 steps. Knowing which steps are executed might help you solve the problems you’re facing. 4 Deactivate LoadBot Possible running processes are stopped. 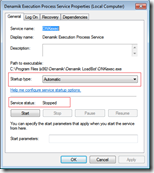 5 Denamik Execution Process installation A NT service ‘Denamik Execution Process Service’ is installed with the LocalSystem account. 6 Retrieve LoadBot specifications The specification of the loadbot, like physical memory, is retrieved. This information is used to determine the number of slots the LoadBot can handle. The activation of the LoadBot software on the system is done in 7 steps. Knowing which steps are executed might help you solve the problems you’re facing. 5 Console session active? LoadBot Execution Service checks whether someone has been logged on to the desktop -> if not process activation will fail! 2012-06-20 02:26:57.640 - Module: CreateNetworkConnection - Action: An error occurred in the 'Create network connection' process: The following error occured while trying to connect to the remote machine (LoadBotVM02): The network path was not found. 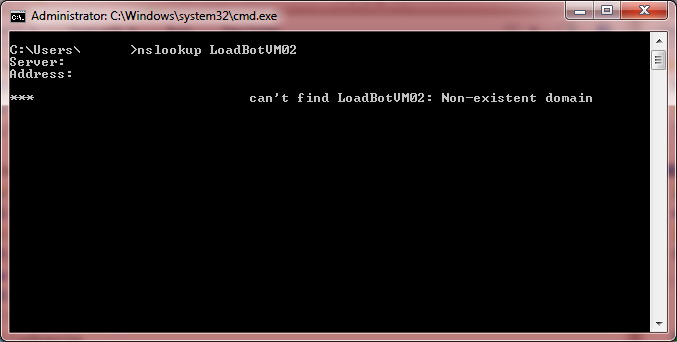 You can test the name resolution in a command prompt with the nslookup command. If the result of the command nslookup <FQDN> is ‘non-existent domain’ or doesn’t match the IP address of the system, first solve this. The first step when installing the LoadBot software on a remote system ‘Create network connection’. During this process a network connection is made to an administrative share on the remote machine so the required files can be copied. 2012-06-20 02:31:42.830 - Module: CreateNetworkConnection - Action: An error occurred in the 'Create network connection' process: The following error occured while trying to connect to the remote machine (LoadBotVM01): The network path was not found. 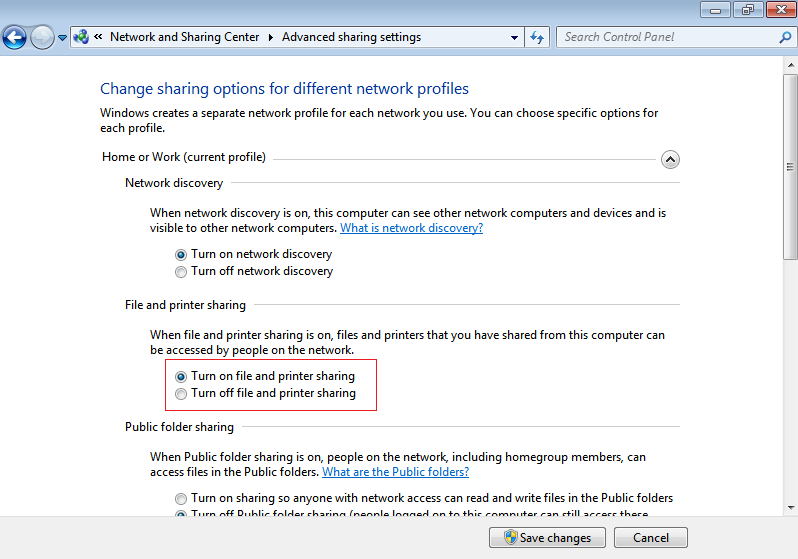 Turning on file and printer sharing in Windows 7 is done quite easily via Network and Internet > Network and Sharing Center > Change advanced sharing settings. 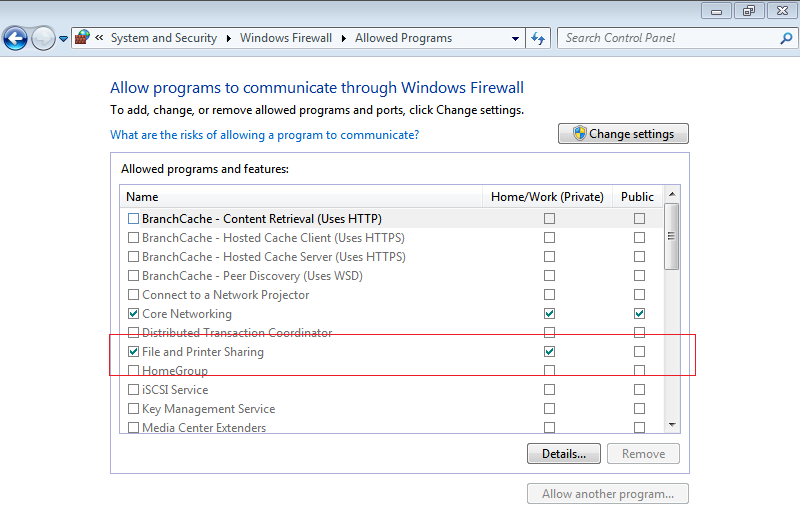 A firewall rule is added automatically to allow file and printer sharing. 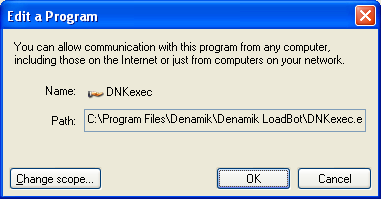 When the LoadBot software is installed by the central management software of the Denamik LoadGen (the Director) an administrative share (IPC$) is used. The software authenticates itself with a ‘Run as profile’, an administrative account that can be bound per system. This can either be an domain or an local account. If a local account (for instance the local administrator) the administrative accounts might be filtered out, resulting in the following message in the log file. 2012-06-20 02:34:24.575 - Module: PrepRemoteRegistryService - Action: An error occurred in the 'Status remote registry service' process: ServiceExist reported the following error: Cannot open RemoteRegistry service on computer 'LoadBotVM01'. This is caused by a security mechanism found in Windows since XP (although it has changes in Vista and up). In this article you can read how you can enable administrative shares for local accounts. The central management console of the Denamik LoadGen (the Director) communicates with the remote system via the network. 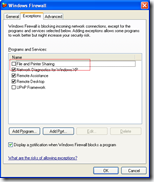 If a firewall is present on the remote system the requests can be blocked preventing the software from installing / activating. During the first step of the installation an administrative share is opened requiring access to file and printer sharing. 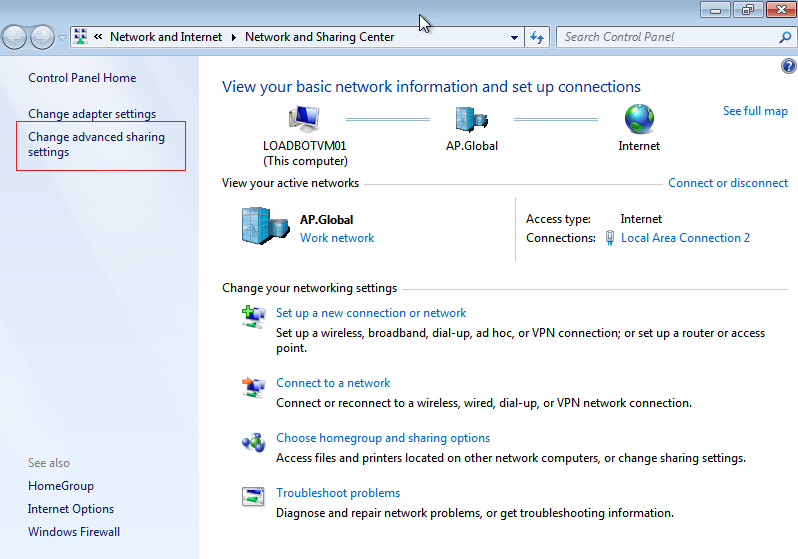 In Windows 7 this is enabled by default when file and printer sharing is turned on, in Windows XP you need to enabled it. 2012-06-20 03:07:37.131 - Module: PrepRemoteRegistryService - Action: An error occurred in the 'Status remote registry service' process: ServiceExist reported the following error: Cannot open Service Control Manager on computer 'LOADBOT16'. This operation might require other privileges. 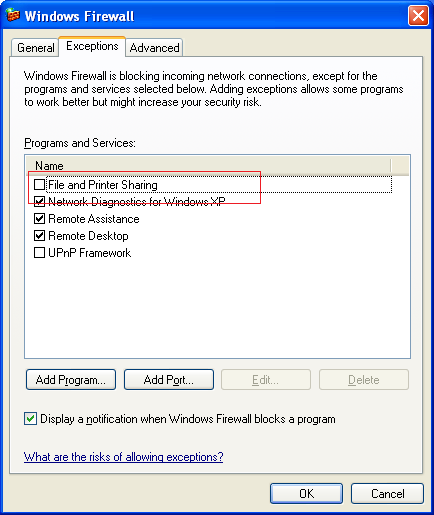 File and printer sharing needs to be enabled in the Windows Firewall. 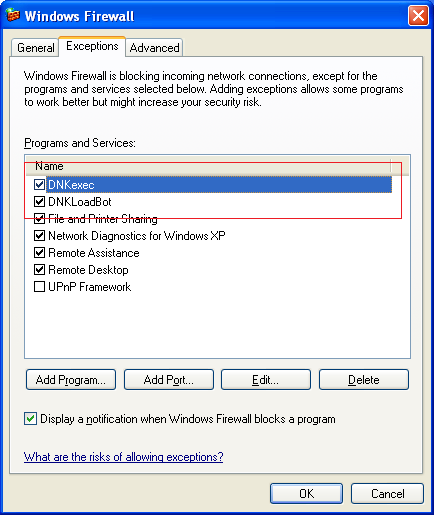 During the installation of the LoadBot software rules are added automatically to the firewall allowing Denamik processes to be access from the network. 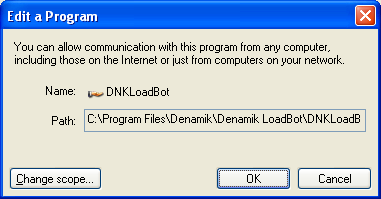 The central management software of Denamik LoadGen (the Director) tries to connect to the LoadBot on port 8000. 2012-06-20 02:45:04.147 - Module: ActivateLoadBotProcess - Action: We will create a connection to the LoadBot machine 2012-06-20 02:45:46.204 - Module: ActivateLoadBotProcess - Action: An error occurred in the 'Activate LoadBot' process: A connection attempt failed because the connected party did not properly respond after a period of time, or established connection failed because connected host has failed to respond 172.17.2.118:8000 2012-06-20 02:45:46.220 - Module: ActivateLoadBotProcess - Action: Please check if the LoadBot files are installed! 2012-06-20 02:45:46.220 - Module: ActivateLoadBotProcess - Action: Please check if the LoadBot files are installed! The processes DNKexec and DNKLoadBot needs to be accessible from the network. 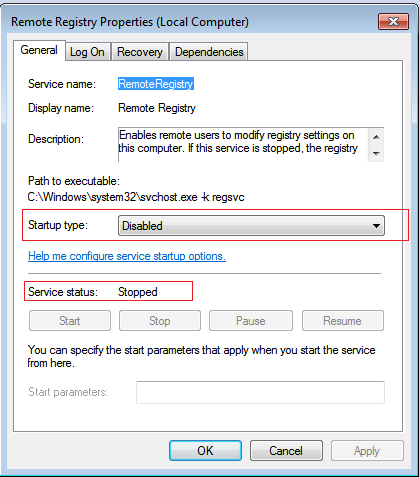 In second step of the installation of the LoadBot software on the remote system the state of the remote registry service is checked and started if required (The remote registry is required to query the location of the Program Files folder). 2012-06-20 02:39:28.074 - Module: PrepRemoteRegistryService - Action: What is the status of the 'Remote Registry' service? 2012-06-20 02:39:28.074 - Module: PrepRemoteRegistryService - Action: Service 'Remote Registry' could not be started: StartService reported the following error: Cannot start service RemoteRegistry on computer 'LoadBotVM01'. 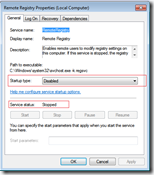 Make sure the startup type is not set to ‘Disabled and that the service can be started. 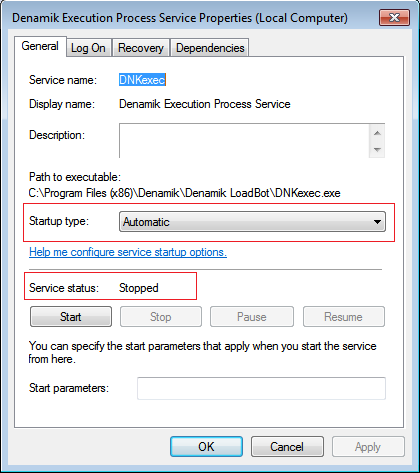 During installation of the LoadBot software on the remote system an NT service called ‘Denamik Execution Process Service’ (or DNKexec in short) is added. If this service is stopped the software cannot be accessed from the central management software (the Director). 2012-06-20 02:57:07.350 - Module: ActivateLoadBotProcess - Action: We will create a connection to the LoadBot machine 2012-06-20 02:57:49.393 - Module: ActivateLoadBotProcess - Action: An error occurred in the 'Activate LoadBot' process: A connection attempt failed because the connected party did not properly respond after a period of time, or established connection failed because connected host has failed to respond 172.17.2.118:8000 2012-06-20 02:57:49.408 - Module: ActivateLoadBotProcess - Action: Please check if the LoadBot files are installed! 2012-06-20 02:57:49.408 - Module: ActivateLoadBotProcess - Action: Please check if the LoadBot files are installed! Make sure the startup type is ‘Automatic’ and that the service is started. During the fifth step of the activation process the LoadBot Execution Services verifies if there is an active console session. If no console session is found an error if thrown. Denamik LoadGen 2.3 (and above) require an active console session on the LoadBot. 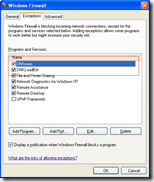 A remote session (like RDP) is not enough. 2012-08-31 07:48:03.796 - Module: ActivateLoadBotProcess - Action: Denamik Execution Process Service failed to start the LoadBot process: No session has been logged on to the desktop, please logon on to the desktop first! Make sure an active console session exists, a user must be logged on.